Preparing the skin for maximum moisture retention, the Soothing Rose Toner hydrates the skin leaving it dewy and soft. 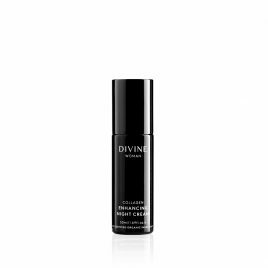 This refreshing mist holds astringent properties that mirror the natural PH levels of the skin to balance the delicate surface environment. Can also be used as a facial mist to set makeup any time during the day, or as a refreshing body mist for an instant pick-me-up. Made from 98% Certified Organic Ingredients and 100% Naturally Derived and Plant Based Ingredients. 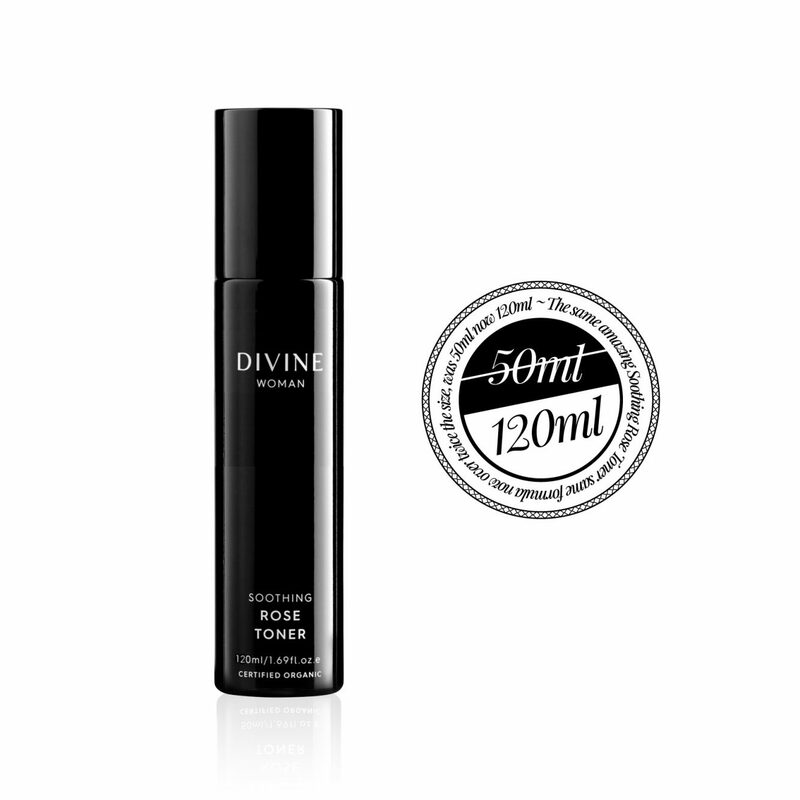 After thoroughly cleansing, spritz toner directly onto the face and allow to dry naturally on the skin. Also use to set make up by lightly spritzing post cosmetics application. Enjoy as a refreshing spritz throughout the day to maintain hydration and freshness. Lavender Essential Oil – Naturally calming for the skins surface and suitable to combat skin sensitivities, Lavender Essential Oil holds a therapeutic scent profile that promotes total wellbeing. Rooibos Extract – Rich in anti-oxidants and wrinkle fighting properties, Rooibos Extract is a natural hypoallergenic suitable for all skin types. Rose Flower Water – Steamed organic rose petals reduced to a potent hydrosol that deeply hydrates and soothes the skin, with naturally astringent properties to tonify the surface layers. Cucumber Fruit Extract – Containing a high mineral content, Cucumber Fruit Extract is rich in amino acids that cool the skin with high anti-inflammatory properties. Spritz after cleansing with either the Hydrating Cream Cleanser or the Daily Renewal Lactic Gel Cleanser to re-balance the PH levels of the skin. Also use in preparation for application of the Illuminating Day Cream for a dewy, hydrating experience that increases the absorption properties of the Day Cream. Spritz after cleansing and before application of the Collagen Enhancing Night Cream for deep rejuvenation. INGREDIENTS: ALOE BARBADENSIS LEAF JUICE*, ASPALATHUS LINEARIS (ROOIBOS) EXTRACT*, ROSA DAMASCENA (ROSE) FLOWER WATER*, CUCUMIS SATIVUS (CUCUMBER) FRUIT EXTRACT*, LAVENDULA ANGUSTIFOLIA (LAVENDER) OIL*, CITRUS AURANTIUM DULCIS (ORANGE) OIL*, ORIGANUM MAJORANA FLOWER OIL*, CITRUS AURANTIUM BERGAMIA (BERGAMOT) FRUIT OIL*, LONICERA JAPONICA (HONEYSUCKLE) FLOWER EXTRACT, CITRUS AURANTIUM AMARA (BITTER ORANGE) FLOWER OIL*, LONICERA CAPRIFOLIUM (HONEYSUCKLE) FLOWER EXTRACT, LINALOOL^, LIMONENE^. *CERTIFIED ORGANIC. ^CONSTITUENTS OF ESSENTIAL OILS. This product is fantastic both as a Toner & a Setting Spray. The light mist is so refreshing for the skin that I also use it just to freshen-up. It’s so very lightly scented I don’t even have to worry about my flower allergy. I would highly recommend this Toner to other. I really love these products. They soak into the skin so quickly and my skin has never ever felt better. Thanks so much for sharing! 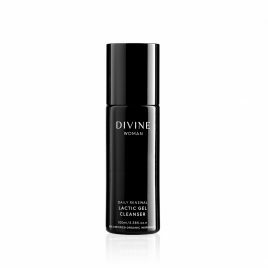 We are so glad your skin is loving your Divine products!